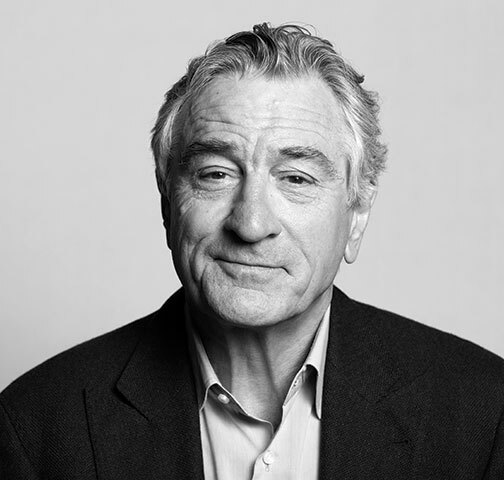 Washington, DC—The National Association of Broadcasters announced that actor, producer and director Robert De Niro will headline the opening keynote on October 17 at NAB Show New York. In a Q&A with Deadline Hollywood contributing editor Dade Hayes, De Niro will discuss the future of film and entertainment, drawing on his four decades in the entertainment business. The NAB Show New York is produced by the National Association of Broadcasters and will be held October 17–18, 2018 at the Jacob Javits Convention Center. Robert De Niro launched his motion picture career with The Wedding Party in 1969. In 1974, he won the New York Film Critics Award for Best Supporting Actor in Bang the Drum Slowly. That year he also received the Academy Award for Best Supporting Actor for The Godfather, Part II. Moreover, in 1980 he won his second Oscar, as Best Actor, for Raging Bull. In addition, De Niro has earned Academy Award nominations for his work in Taxi Driver, The Deer Hunter, Awakenings, the remake of Cape Fear and Silver Linings Playbook. He also directed A Bronx Tale in 1993 and The Good Shepherd in 2006. Furthermore, in 2009, De Niro received the Kennedy Center Honor for his distinguished acting as well as the Stanley Kubrick Award from the BAFTA Britannia Awards. He also was honored with the Cecil B. DeMille Award at the 2011 Golden Globe Awards. Moreover, De Niro cofounded Tribeca Productions with Jane Rosenthal and Craig Hatkoff. Through the production company, he develops projects on which he serves in a combination of capacities. They include producer, director and actor. De Niro also cofounded the Tribeca Film Festival. The annual event brings together visionaries across industries and diverse audiences to celebrate the power of storytelling. De Niro’s next projects include Martin Scorsese’s The Irishman for Netflix. He will star in it as well as produce it with Scorsese. He also will costar in Warner Bros. Pictures’ upcoming Joker, based on the DC Comics character. Produced by the National Association of Broadcasters, NAB Show New York will feature more than 14,000 attendees and 300+ exhibitors. It will showcase the best in next-generation technology for media, entertainment and telecom professionals. The show will feature conferences and workshops. They will focus on television, film, satellite, online video, live events, podcasting, advertising, corporate A/V, production and post. The National Association of Broadcasters is an advocacy association for America’s broadcasters. NAB advances radio and television interests in legislative, regulatory and public affairs.